Your security is only as strong as its weakest link. As your data migrates freely from physical to virtual to cloud, you need to make sure that your security is just as nimble. If you try to use traditional security in virtual and cloud environments, you'll face real performance and service issues. 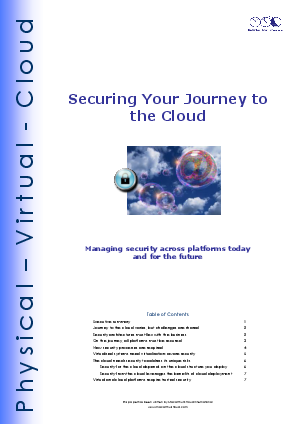 In a new white paper, Macarthur Stroud outlines strategies for effectively managing security across platforms today and for the future.